This exhibition celebrates Lynda and Jools Topp, fondly known as The Topp Twins; some of New Zealand's best-loved entertainers. Synonymous with small town, rural New Zealand and that Kiwi "can-do attitude" the Topp Twins have become cultural touchstones for more than 40 years with their playful, powerful and political creative work. 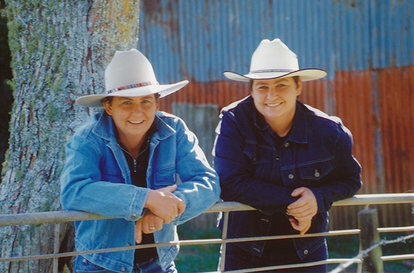 As Camp Mother and Camp Leader, the Gingham Sisters, Westie girls Raylene and Brenda, posh socialites Prue and Dilly or the Kiwi bloke and townie combo of Ken and Ken, the Topp Twins continue to champion the communities and causes near and dear to us.